Want to get your hands on a sports Rolex? 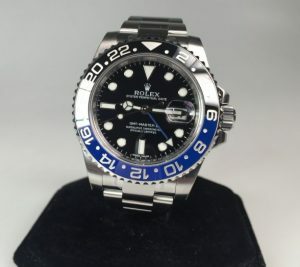 So, you’ll either be coming to the realisation that certain models of Rolex are much, much harder to find that others or you’ll be well aware of the scarcity of the stainless steel sports models and be ready for all the advice we can give you. As a jewellers and pawnshop in central London, it’s fair to say that we buy and sell many different styles and models of Rolexes. We know the value of Rolex because of the nature of how they arrive in our London pawn shop. Because we work with pre-owned Rolex watches, you can also be sure that we will come across some outstanding opportunities for you to get your hands on classic hard-to-find Rolexes. What is the deal with the stainless steel? Rolex isn’t one of the top selling luxury watch brands on the planet for no good reason. They know that they have a strong product. They also know that it’s reached cult status with many watch fans around the world and they know they can count on a rich legacy of gracing the wrists of adventurers and explorers. The sports models have simply captured the imagination of the buyers’ market. There’s a much-whispered notion that Rolex is stockpiling watches to create a shortage and generate a buzz, but that’s not the case. In fact, Rolex are actually manufacturing more watches than they did last year – but the demand for Rolex still outstrips the supply. Every year, Rolex increases production in small increments to avoid flooding the market and reducing the value of all models on the market, Instead, their steady hand ensures a carefully controlled growth and stability. Consider this strategy – Rolex will only make watches to the highest of standards and will not compromise on quality to make a quick buck when fashion falls in their favour. Not only does it say something of Rolex’s business acumen and integrity but it also speaks volumes about the watches that they have made over the years. If you’re already sporting a Rolex, you can be sure that it will not only have held its value but will mostly likely have grown in value. Will this shortage go on forever? It’s hard to say when it will end, but this shortage could work in your favour. If you’re looking to free up some cash, then your Rolex could perform extremely well for you. If you are looking for a Rolex, then you might just be able to get your hands on a model that you may otherwise have not. One interesting point to note is that, yes, you might come across a hard-to-find vintage Submariner but it’s also the recent releases that are commanding high prices, including the GMT Master II in blue and red as well as the stainless steel Daytonas. If you can wait and if you are prepared to pursue options that you’ve not previously considered, then you could triumph where others fall by the wayside. It’s tempting to only keep your eye on your local Official Rolex Dealership but a trip to a pawnbroker specialising in Rolex may well get you what it is you want. Either pick up the phone or drop in in person and explain what it is you are looking for. Not only will they be able to give you an idea of what’s on the market and what may be up and coming but they’re able to use their network to understand what models may be in circulation. Hopkins & Jones, posh pawnbrokers in London, knows that Rolex and the value that they’re worth go hand in hand. A Rolex auction in Switzerland featuring some of the rarest watches on the planet does add a frisson to proceedings. Give it a stand out name – the Daytona Ultimatum – and interest goes sky high. As, it seems, did the figures that the watches attracted. With Rolex watches for sale at their central London pawnshop and jewellers, Hopkins & Jones takes an interest in the biggest watch auctions, so that they can finely tune their Rolex pawnbroker loans. Organised by auction house, Phillips, the event brought together some of the most obscure Rolex Daytonas and – when it comes to the legends behind watches – the more interesting the story, the bigger the final price. 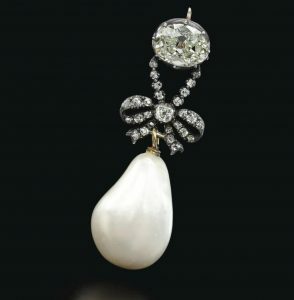 Bidders from all over the world bid against each other to secure these rare pieces for their collections and the prices just kept climbing. 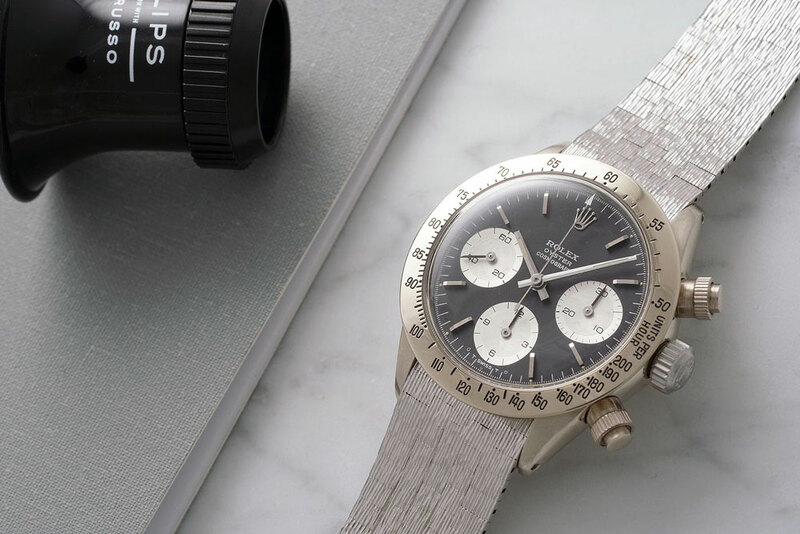 Every little girl’s dream, the fantastically named Rolex Daytona Unicorn went for almost CF6 million, but as it is the only one of its kind in the world that’s maybe not surprising. A white gold Daytona, the Unicorn has a white gold bracelet with a bark finish and became the second most expensive Rolex Daytona ever sold at auction. The “John Player Special” Daytona takes its name from the cigarette brand that used to sponsor the Lotus Formula One cars. Sharing the iconic gold and black of Lotus, this rare watch fetched just under a million Swiss Francs. If you like your Rolex to have a little sparkle, then the ‘Le Hubou Grand-Duc’ could be the watch for you. Made for the French market, the diamonds and sapphires that featured so heavily in this Daytona were so carefully placed that they don’t compromise the all-important functionality. With only around 30 ever made, ‘Le Hubou Grand-Duc’ fetched CHF 606,500, -. Working with Asprey, Rolex made this watch for the Sultan of Oman, The Rolex Daytona Red Sultan brought together the crowns of both Asprey and Rolex on the dial, alongside the ‘Khanjar’ logo, printed in red on the dial, which represents the Sultanate of Oman. The Red Sultan fetched CHF 1,212,500,-. In another twist in the Rolex collectibles story, it also achieved the highest ever charitable donation resulting from the sale of a vintage watch following Goldberger’s decision to donate his proceeds to Children Action. While many of the watches explored below are currently being bought to be worn, these brand-new watches, launched at the Baselworld Watch and Jewellery Show back in March, will most likely fetch awesome prices in the auctions of the future. Hopkins and Jones, posh pawnbrokers in London, extend a watchful eye over the newest model on show in Basel, Switzerland so that they can monitor the trends and futureproof pawnbroking loans from their jewellers and pawnbrokers shop in London. Baselworld can count on upwards of 2000 visitors from over 45 countries across the globe and attracts around 100,00 visitors to see the best of what’s new and emerging in the worlds of watches and jewellery brands. Baselworld 2018 brought a diverse collection of watches together, with some from timeless fashion houses and others from cutting edge chronologists. Advancements in colour and material played a leading this year with Hublot leading the field in both. The Hublot Big Bang Unico Red Magic brought together the best in ceramic, which in turn allowed them to develop their bright new ceramic. Hublot took four years to develop their new, red ceramic, “using heat and pressure in a way that sinters the ceramic without burning the pigments.” This makes Hublot’s ceramic denser and more resilient than the conventional ceramic we may be used to. Ceramic is an interesting material in which to case watches. Temperature-resistant, hypo-allergenic and seven-times harder than steel, it is kind to the skin and can’t be compromised by rust or rot in the way that metal can. TAG Heuer has also gone for a ceramic watch with the case, the bezel and the lugs decked out in midnight blue ceramic. In addition to the materials used, Tag Heuer has also pushed the envelope in terms of durability with the Tête de Vipère Chronograph Tourbillon Chronometer featuring the Tête de Vipère (Viper’s Head) stamp from the Besançon Observatory, which demonstrates that it has passed a 16-day accuracy test in five positions at three different temperatures. While Chanel is often associated with timeless class, it was in fact the Chanel brand that brought ceramics to the world of watch-making, with the J12. Reviving the J12 with a 2018 Untitled model, Chanel opted to go with a ceramic case and bracelet but also a ceramic marquetry dial and bezel with a monochrome abstract motif and fine 18k gold threads between ceramic sections. While the rest of the UK was watching the weather, Hopkins And Jones, London pawn and jewelry specialists, were watching Baselworld 2018 for the best in new luxury watch releases. Baselworld is the annual watch and jewelry trade show in Switzerland, where the great and the good of the world of luxury watches come together to present their latest creations. While the US space program may not be thrusting on all cylinders, the watch behind the moon landings is still making advancements in leaps and bounds. With one eye on the past, the Omega Speedmaster Dark Side of the Moon Apollo 8 has been created to commemorate the 50th anniversary of the Nasa’s Apollo 8 mission, which saw the first manned spacecraft successfully orbit the moon and return safely to Earth. With laser ablations on a stripped back dial representing the moon’s rugged surface, this Speedmaster could be bleak and unforgiving but the bright yellow hues on the hands, hour markers and strap lining pairs with the smooth surface of black zirconium oxide ceramic to create something very special indeed. Just in case there’s any confusion about the inspiration behind the Omega Speedmaster Dark Side of the Moon Apollo 8, command module pilot, Jim Lovell’s famous words are etched – “We’ll see you on the other side”. Hopkins and Jones are Rolex experts and so they were intrigued see what Rolex would be sharing with the world. For 2018, Rolex are showcasing the Oyster Perpetual GMT-Master II in the Pepsi colours of red and blue, which harks back to the original GMT-Master from 1955. This time, however, the ‘Pepsi’ bezel is supported by an Oystersteel and a Jubilee bracelet, with a heavily patented movement, the Calibre 3285. If you are looking for something more understated, the brown and black ceramic Oyster bracelet in either Everose Rolesor or full Everose is stunning. Just as comfortable on the catwalk as the wrist, Bulgari’s Octo Finissimo Automatic Sandblasted will always look stunning. This year is no exception with a rhodium-plated steel and the exceptional rose gold. Grabbing most of the attention, the rose gold managed to convey warmth rather than a sickly pick hue and, with its matt finish, really is for men and women. Adding to its sleek look, the self-winding Calibre BVL 138 Finissimo ensures that the watch is as powerful as it is attractive. Only 2.23mm thick, it is the world’s thinnest mechanical self-winding movement. An update of the Ref. 5531 New York Special Edition, launched in 2017 specially or the American market, the Patek Philippe 5531R-001 World Time Minute Repeater Ref. 5531R uses local time of wherever you are in the world, instead of your home time. With a World Time mechanism captured within a rose-gold case, the cloisonné enamel dial shows a Lavaux landscape set against Lake Geneva. Set at 40.2mm, the watch is driven by the Calibre R 27 HU, which is a hyper thin 462-part self-winding mechanical movement. Breitling SA is a Swiss watchmaker, based in Grenchen, Switzerland. Founded over 130 years ago, by Léon Breitling, the brand is known the world over for precision-made chronometers beloved by the aviation community. Bentley is the superlative British car brand, who has mirrored Breitling’s drive for evolution of what already exists, adapting technology and materials to deliver cutting-edge products set against a backdrop of brand excellence. Breitling for Bentley brings together the best of two independent, luxury companies who share a focus on efficiency, boldness, and the quest for perfection. With a working partnership that dates back 15 years, to 2002, the brands have been seamlessly and successfully entwinned. Breitling for Bentley sets the pace for both style and functionality, combining precision with performance. Breitling watches, will also have a following in the second hand and vintage watch market making them a perfect commodity for London pawnbrokers like Hopkins and jones to advance a loan against. With both brands sporting a double winged logo, the symbiosis between the brands is evident throughout the years. With a winged B-initial found in both logos, it underlines the commonality in values that can be found between the brands. The relationship was born in 2002, when the Swiss watch maker designed a new Breitling Continental GT. Joining the boys from Bentley for the Le Mans 24 hour race in 2003, Breitling presented 48.7-millimetre chronograph Breitling for Bentley Motors (A25362) to celebrate Bentley’s success in the iconic race. Breitling for Bentley is underpinned by brand ambassador, David Beckham, carefully chosen to represent the modern man – stylish, with high standards and superlative taste. Like the brand and the product, wearers will know who they are and the values that they stand for. In the wake of the first Breitling for Bentley watch (A25362), subsequent models – including the H25362, and the K25362 – is distinctive from other watches by an impressive 48.7 millimetre case and a knurled bezel, inspired by the iconic Bentley radiator grille. Driven by function as well as design, Breitling for Bentley watches are equipped precision time-keeping movements, such as the 30-second chronograph with its sweeping second hand completing a full circle every half minute. Twice as fast as an ordinary chronograph, the 30-second chronograph was created to deliver high accuracy of measurement. The Bentley Motors T was launched in 2005 and boasts the same high quality functionality but with a very specific bezel design. With a focus on the future of timekeeping, Breitling for Bentley has also turn to the past for inspiration for their collections. The Mark VI line borrows from the Bentley-limousine Mark VI – one of the most stunning vintage cars ever made. The Mark VI boasts high-quality workmanship that have been created to meet the needs of those looking for exclusivity. As with the Mark VI, the Mulliner Tourbillon is the culmination of years of tradition and excellence for both cars and timekeeping. The Mulliner represents the best of Bentley’s master craftsmen capabilities tailored and personalised to the individual demands of the client. As with the motor, Breitling for Bentley clients can choose between case materials, dial colours as well as the shade of the watch strap. Unsurprisingly, the Mulliner Tourbillon is one of the most expensive and elaborate Breitling watches and known as the highlight of the Breitling for Bentley collection. 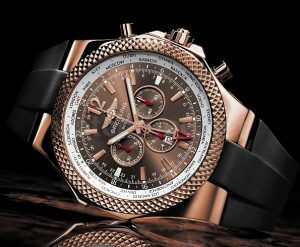 Hopkins and Jones Jewellers and Pawnbrokers located in central London at 7 William IV Street London WC2N 4DW, for a quote on your Breitling watch pop in and see us, no need to make an appointment, or call us on 0207 379 7080. Breitling are at the forefront of timekeeping within aviation, yet it stands to reason that one watch may stand out more than others. For Breitling, and aviation, that watch is the legendary Navitimer – the chronograph with integrated flight computer – which celebrates its 65th birthday in 2017. Worn by pilots and aviators all over the world, the Navitimer takes pride of place of the wrists of many national Air Force pilots as well as some very famous faces. John Travolta, actor and pilot/owner of a Boeing 707 and a Bombardier Challenger 601, not only sports a Navitimer but also an ambassador of the iconic brand. Beginning life in the early 1950s, the Breitling Navitimer is a natural evolution of 1942’s Breitling Chronomat. The Chronomat, with its slide rule bezel, had pushed the boundaries of what was possible during in-flight calculations. Taking this one step further and improving upon this fantastically functional slide rule bezel, Breitling developed the Navitimer in 1952. From the outset, the very first Navitimer adopted the double wing logo of the “Aircraft Owners and Pilots Association” (AOPA) emblem on the dial, leading the way for a real, working partnership with the AOPA in 1960. The name ‘Navitimer’ is a contraction of the words ‘navigation’ and ‘timer’ and truly represents the dual function of the Navitimer. The first edition sold was the 806 – manual chronograph movement with a Venus 178 column wheel mechanism. It’s unsurprising that the early Navitimers are much sought after and can reach high prices at auctions. While stainless steel is easier to come across, they are still much sought after whereas the less common 18k solid gold models can fetch even higher prices. Navitimers 806 made in 1954 featured a Valjoux 72 (as with the vintage Rolex Daytona) and are especially collectible. Clever marketing and branding in the late 1950s helped to make the Navitimer the success that is it today. Willy Breitling, grandson of founder Leon Breitling, worked alongside Swiss advertiser, Georges Caspari, to create a clever advertising campaign targeted at pilots, creating a huge demand for the Navitimer. 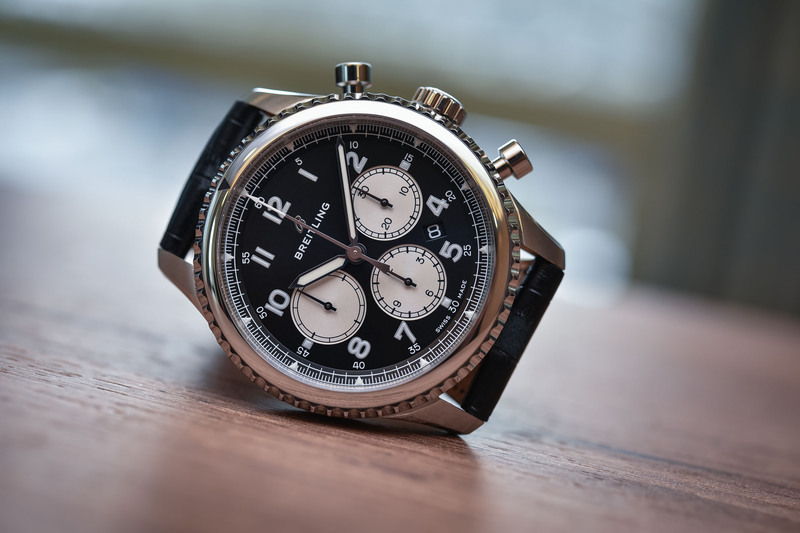 The Breitling brand was already synonymous with aviation, with their role as official supplier of board instruments to all the major aircraft companies’ testament to their prowess. Change was around the corner and, by the end of the 1960s, Willy Breitling had teamed up with Gérald Dubois, and Jack Heuer to develop a thin automatic movement with a micro-rotor. This cross-brand co-operation enabled the development of the Calibre 11, with a left-positioned crown. This changed forever the face of the Navitimer from a tri-compax layout to a bi-compax, with the date at 6 o’clock configuration. By the 1970s, the Swiss watch industry was in crisis and struggling to weather the flood of cheaper and highly accurate quartz watches from Japan. 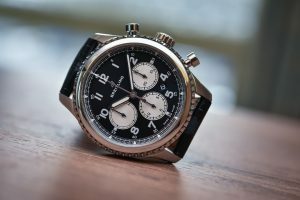 Breitling was no exception and had to react by issuing both a quartz and LCD edition of the Navitimer, but it wasn’t enough to stop the decline in sales. By the late 1970s, Willy Breitling was forced to sell the company to Ernest Schneider. Schneider was both a pilot and the holder of Sicura, a maker of cheap watches. Moving the Breitling brand to Grenchen in 1982, the Breitling name survived – just! While it was possible to buy new Navitimers, the models did not bear the Breitling logo yet all the parts were signed with the Breitling signature. Only the dial was labelled ‘Sinn’, the name of the German manufacture, Helmut Sinn, who bought almost all Breitlings spare parts with the company was sold. Schneider held true to his philosophy of bearing with mechanical watches as people tired of technology and returned to traditionally styled timepieces, preserving the Navitimer as one of the most popular and reliable chronographs in the world. Omega watches, much like the value that comes with the Rolex brand, can command strong prices at the point of auction, resell or through pawnbroking. Hopkins And Jones Pawnbrokers in central London takes a look at the Swiss watchmakers to discover why they have stood the test of time. Although Hopkins And Jones are well known for high-end pawnbroking from their London premises, they are also a key player in London’s top of the range watch retailers, promoting brands including Patek Philippe, Rolex and, of course, Omega. Omega is a luxury Swiss watchmaker based in Bienne, Switzerland. Launched in 1848 as the La Generale Watch Co, the company rebranded as Omega in 1903, with their watches gracing the wrists of the military, astronauts, sport stars, movie stars and one very famous British spy. The Omega brand began life as an offshoot of La Generale Watch Co, which used a production control system that allowed component parts to be interchangeable. Omega became such a dynamic concept that it became a brand in its own right in 1903, the same year that the company’s leaders – Louis-Paul and César Brandt – died. Producing 240,000 watches annually and with a work force employing 800 people, Omega suddenly found itself in the hands of four young people, with the oldest – Paul-Emile Brandt – was only 23. Brandt was a great businessman and understood how to weather the post-war period, with his first coup in bringing the Omega and Tissot brands together as SSIH, Geneva. The SSIH Group enjoyed strong growth, incorporating many of the companies behind Omega’s chronograph movements. By the 1970s, SSIH was Switzerland’s number one producer of finished watches and number three in the world, outselling Rolex, its main Swiss rival. With the rise and rise of quartz watches, Omega competed with brands, including Seiko and Citizen, with watches using Swiss made quartz movements. The 1980s saw a number of mergers and takeovers across the Swiss watch industry, in an attempt to bring stability to the Swiss watch-making industry. By the late 1990s, Omega had become part of the Swatch Group. What made Omega so special? Traditionally, Omega placed great importance on Chronometry and ensuring that chronometers would measure time precisely. With only Patek Philippe and Omega taking part in the annual trials, Omega gained a reputation as a company of precision and innovation. 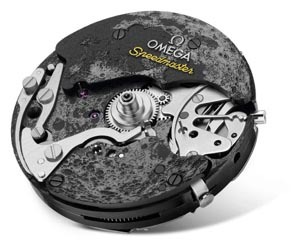 Omega has played a large part in 20th Century history, with the Speedmaster selected for use in space. Also known as the ‘Moonwatch’, the Omega Speedmaster Professional Chronograph was worn by Buzz Aldrin and is known as the first watch on the moon. All subsequent manned NASA missions used the handwound Moonwatch. Omega watches are hugely popular with many celebrities, with actors such as Bond actors Pierce Brosnan and Daniel Craig fans. Sports stars gravitate towards Omega’s outstanding performance with oceanographer, Jacques Cousteau, and yachtsman, Eric Tabarly, opting for the Omega Marine Chronometer. Omega also attracts statesmen and world leaders, with JFK, Mikhail Gorbachev and, interestingly, Mao Zedong – as in Chairman Mao – gave power to the people of China as the founding father of the People’s Republic of China while wearing an Omega for 31 years. With Q behind the hidden gadgets within Bond’s watches, Omega has been behind the Bond watch since Pierce Brosnan joined the franchise in 1995. Wearing the Omega Seamaster Quartz in GoldenEye, he then wore the Omega Seamaster Professional Chronometer for later films. For the Bond’s 40th anniversary of James Bond in 2002, a commemorative edition of the watch was made available with a blue watch dial and a 007 logo inscribed across it and machined into the caseback. Daniel Craig’s Bond goes one further, swopping from the Omega Seamaster Planet Ocean in the first part of Casino Royale, to the Seamaster Professional 300M when he travels to Montenegro) and even namechecks the Omega brand when questioned by Vesper Lynd. 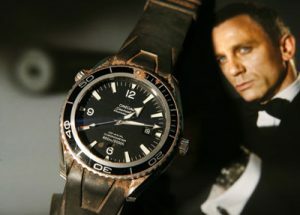 Omega continues its partnership with Omega, releasing commemorative watches to tie in with Bond film launches. Omega has frequently been the official timekeeper for the Olympics, beginning with the 1932 Summer Olympics as well as supporting teams from the America’s Cup in 1995. With a strong performance in golf timekeeping, Omega was the official timekeeper of PGA of America for 5 years until 2016 as well as the sponsors of the Dubai Desert Classic and the Omega European Masters. Hopkins And Jones may well be known within the London pawnbroking industry as a watch specialist, but it is the knowledge that underpins their specialism that sets them apart from other London pawnbrokers. In addition to the level of information that they hold in order to be able to give accurate evaluations, Hopkins And Jones have a great understanding of the stories behind the great brands. This is why they are reputed for both luxury watch pawnbroking and retails. Working with brands that Patek Philippe, Rolex, Bremont and Breitling, Hopkins And Jones can point us directly to great moments in history and explain what was happening in terms of time-keeping. Omega watches have been at the forefront of modern chronometry, with the brand performing consistently well at annual chronometry trials which were set in order to understand if time can be measured precisely and how best to make sure that timepieces can do this. Alongside Patek Philippe as the only other major luxury watch brand taking part in the trials, Omega was able to consolidate their reputation for precision and innovation. Luxury Swiss watchmaker based in Bienne, Switzerland, Omega has played a huge part in space exploration and is even known as the ‘first watch on the moon’. The Omega Speedmaster was first introduced in 1957, but the manual winding Speedmaster Professional or ‘Moonwatch’ is the best-known and longest-produced. Worn during both the first American spacewalk of NASA’s Gemini 4 mission and during the first moonlanding of the Apollo 11 mission, the Speedmaster Professional remains qualified for space travel by NASA. Not originally designed for space exploration, The Speedmaster was launched in 1957 as a sport and racing chronograph and reinforced Omega’s position as the official timekeeper for the Olympic Games. The first Speedmaster model was powered by the Omega Calibre 321 movement with the ‘Speedmaster’ name taken from the model’s novel tachymeter scale bezel (in brushed stainless steel) and by the convention set by previous Omega brands Seamaster and Railmaster. The Speedmaster model established the series’ hallmark 12-hour, triple-register chronograph layout, domed Plexiglas crystal (named Hésalite), and simple, high-contrast index markers and, unlike most subsequent Speedmaster models, it used Omega’s broad arrow hand set. While all early Speedmasters used the Calibre 321 movement, it was replaced in 1968/1969 with the Calibre 861 movement, used in the ‘Moonwatch’. The watches used in Apollo 11’s mission were the 1967 ‘pre-Moon’ 321 versions. Three years before the Speedmaster’s official qualification for space flight, astronaut Wally Schirra took his personal CK 2998 aboard Mercury-Atlas 8 (Sigma 7) on October 3, 1962. Following what must have been a successful – in unintentional – pilot, legends tells of a furtive visit to a jeweller in Houston, Texas to evaluate their use for the Gemini and Apollo Programs. This stands corrected by a former NASA engineer responsible, James Ragan, for Apollo flight hardware testing, who claims that bids were officially requested from several brands. Brands under official consideration included Breitling, Longines-Wittnauer, Rolex, and Omega. Tested under extreme conditions of high temperatures of 160 °F (71 °C) and 200 °F (93 °C), freezing conditions of 0 °F (−18 °C), near-vacuum conditions, humidity, shock, varying degrees of pressure, vibrations and noise. 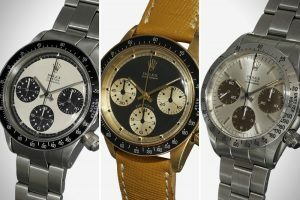 Evaluations concluded in March 1965 with the selection of the Speedmaster. Gemini 3 on March 23, 1965 saw Gus Grissom and John Young sport the first officially qualified Speedmasters, while Ed White made the first American spacewalk during Gemini 4 with a Speedmaster strapped to the outside of the left-side sleeve of his G4C space suit. To make sure that it fitted around the space suit, the watch was attached by a long nylon strap secured with Velcro, wound round several times to shorten its length. Images were widely used in Omega marketing between 1965 and 1967, establishing a strong link the Speedmaster and space exploration. Speedmasters were issued to all subsequent Gemini crews until the end of the program in 1966. By 1966, Speedmaster being used across the early manned Apollo program, reaching the Moon with Apollo 11. These and prior models are known as ‘pre-Moon’ Speedmasters, as their manufacture predates the Moon landings and they are without the inscription later models carry: “The First Watch Worn on the Moon”. It was optional to wear while we were walking on the surface of the Moon … few things are less necessary when walking around on the Moon than knowing what time it is in Houston, Texas. Nonetheless, being a watch guy, I decided to strap the Speedmaster onto my right wrist around the outside of my bulky spacesuit. 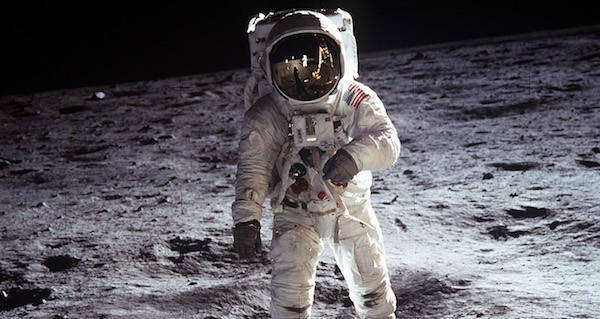 Sadly, Aldrin’s Speedmaster was lost during shipping when he sent it to the Smithsonian Institution. Apollo 17 carried an additional Speedmaster to lunar orbit as part of the Heat Flow and Convection Experiment, conducted by Command Module pilot Ronald Evans. This Speedmaster watch was sold for $23,000 at a Heritage Auction in 2009. Speedmaster has remained flight-qualified for NASA space missions after re-evaluation by NASA in 1972 and remained in use for the Space Shuttle program in 1978. A Moonwatch of your own? Omega produces a large number of commemorative and limited editions, based on the basic ‘Moon Watch design, featuring different patches for the space missions it was issued for.